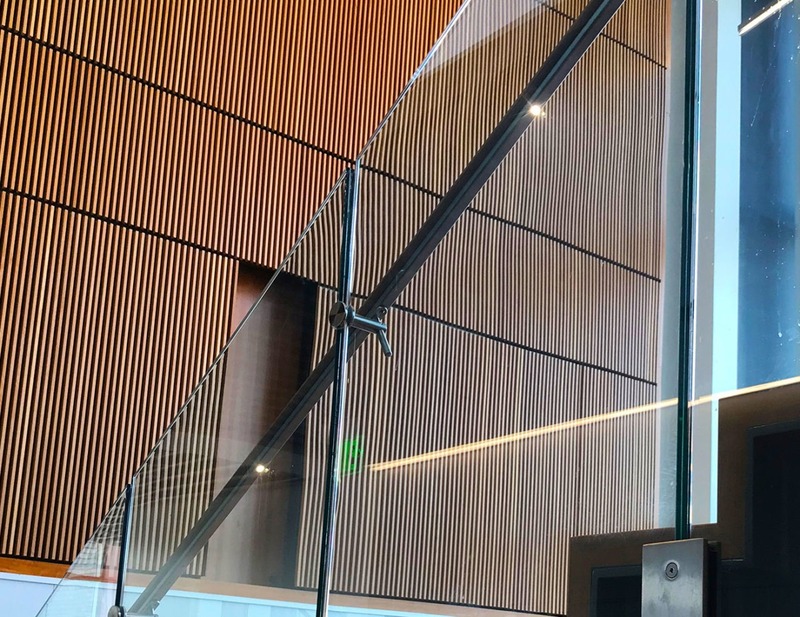 Metropolitan State University (AES Building) | Trex Commercial Products, Inc.
Trex Commercial Products engineered custom pressure plates, mounted to a steel stinger, to accommodate the commercial railing loading requirements while preserving the architect’s minimalist vision for the space. 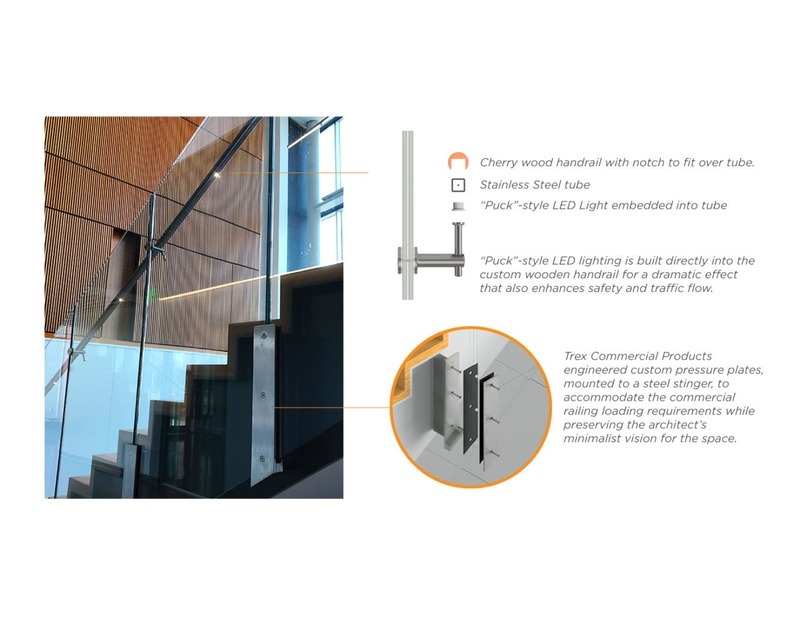 “Puck”-style LED lighting is built directly into the handrail for a dramatic effect that also enhances safety and traffic flow. 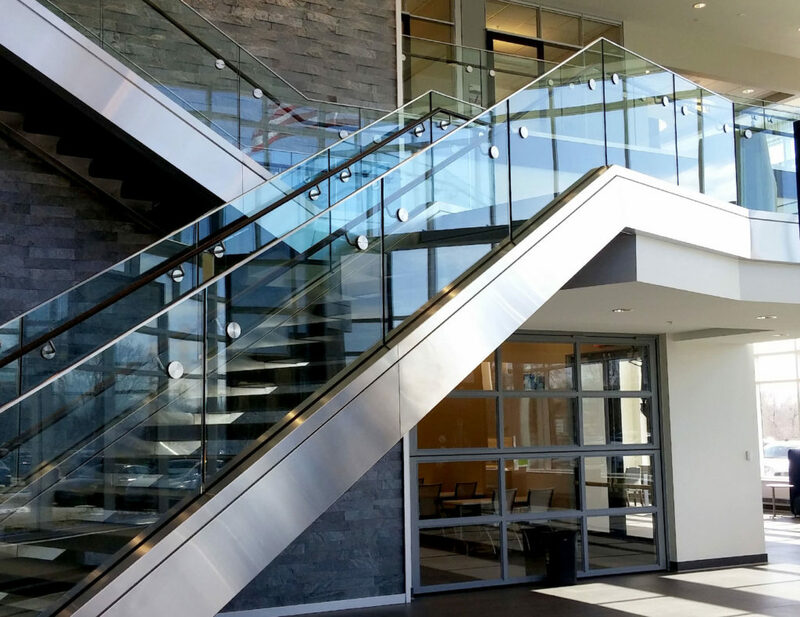 Cherry wood handrail with a notch to fit over a 1”x 1 ” stainless steel handrail support tube adds warmth to the building’s abundance of glass and steel, as well as easily graspable support. 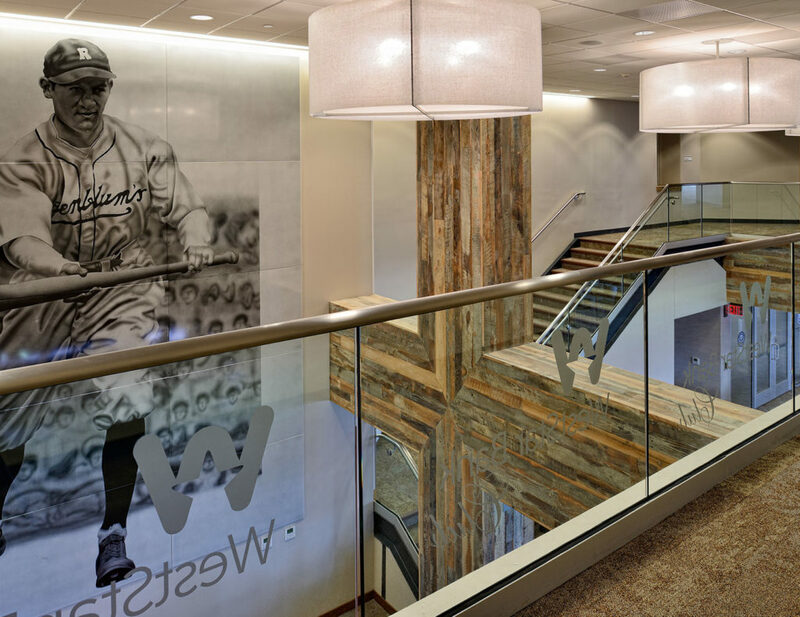 13/16”laminated tempered glass with a 0.060” SGP interlayer allows for a “barely there” appearance that creates a sense of openness in the building’s lobby. 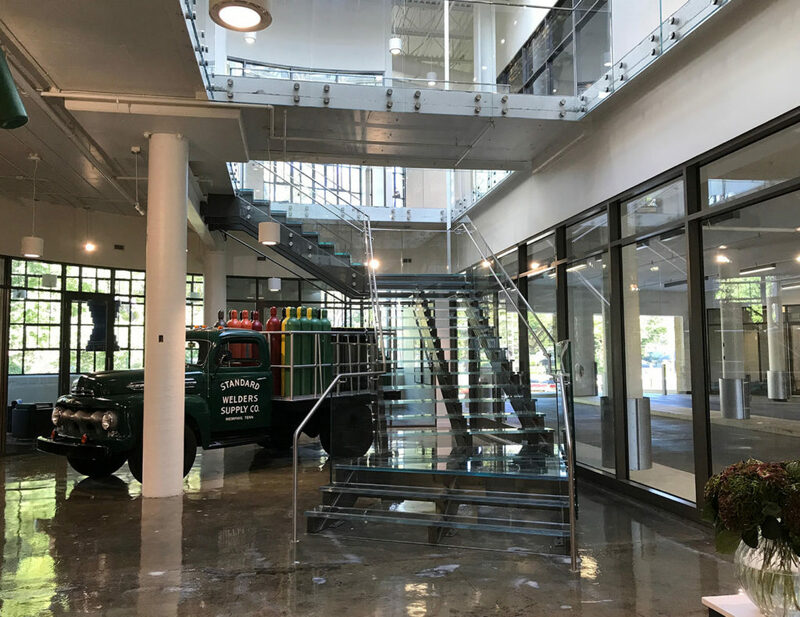 Metropolitan State University in Denver, Colo., opened its new Aerospace and Engineering Sciences building. 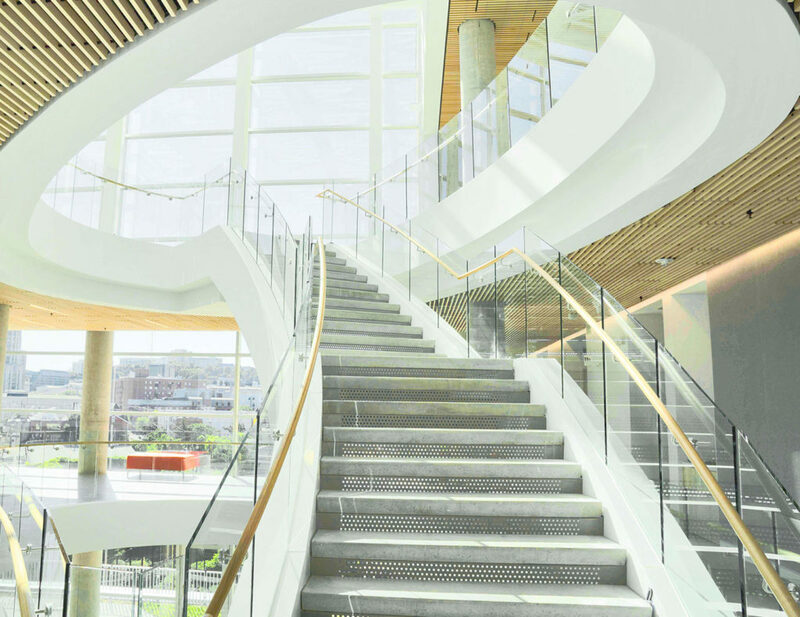 This innovative facility offers a state-of-the-art home for the University’s industrial design, engineering, and computer sciences programs. 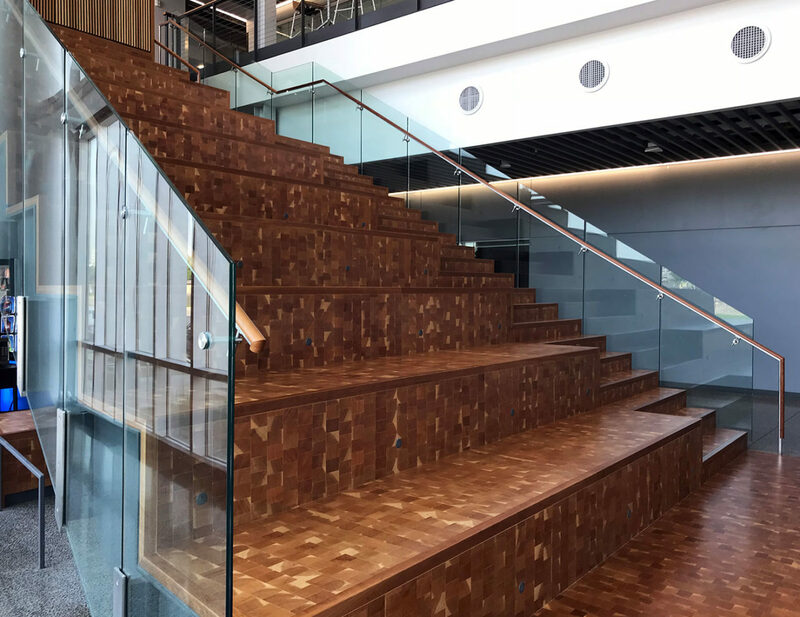 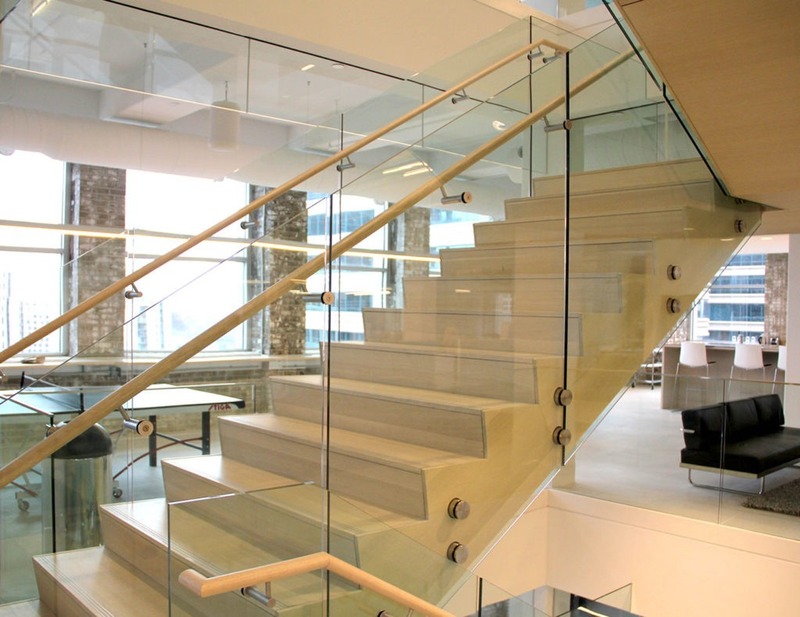 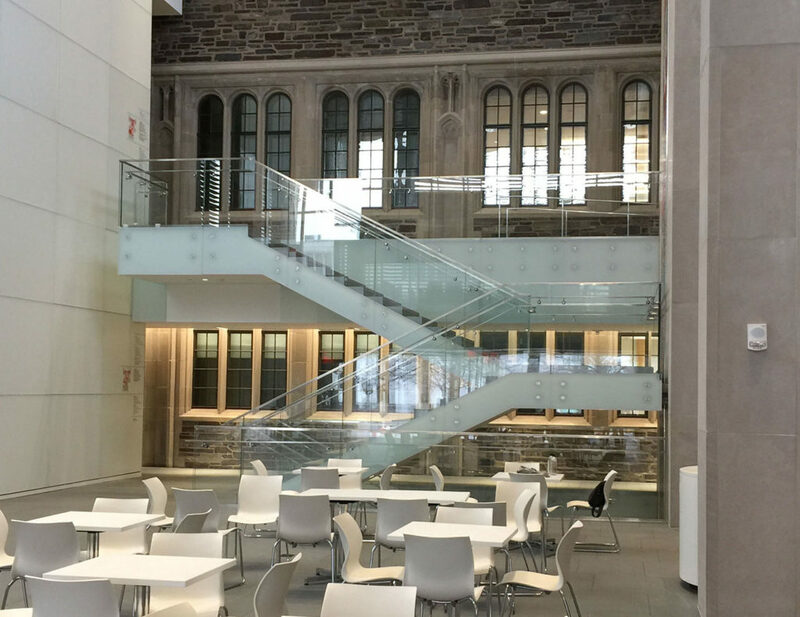 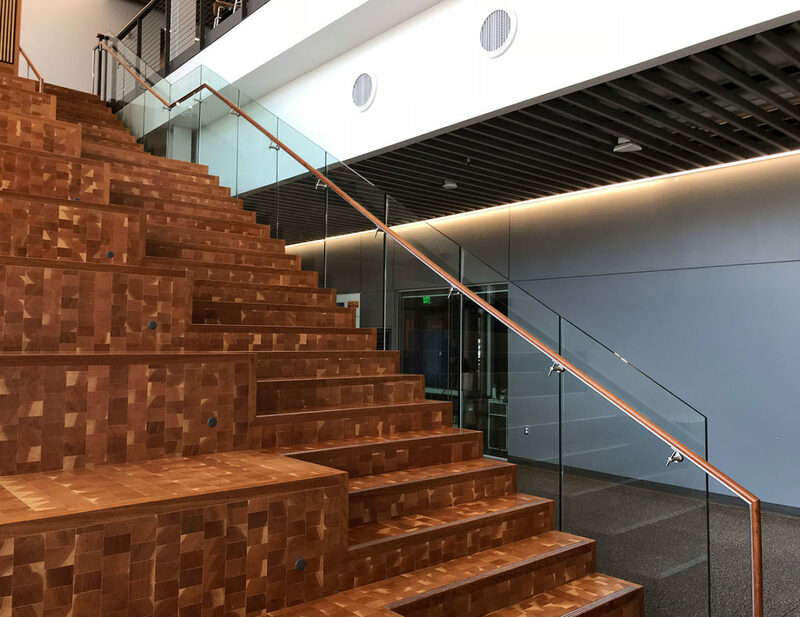 The sleek design of Trex Commercial Products custom glass stair railing with wooden LED handrail complements the building’s modern aesthetic, while also providing a unique functional feature – a built-in learning stair incorporated into the staircase.